Which Lo Pan? Little ol’ basket case on wheels, or the ten-foot-tall roadblock?! Which Lo Pan, indeed. David Lo Pan is simultaneously the elderly crime lord of Chinatown who runs the Wing Kong Exchange and a powerful, ancient sorcerer who was cursed Qin Shi Huang, the first sovereign emperor of China. 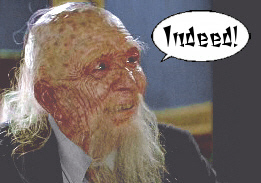 Played by James Hong (a man who has been acting non-stop since the 1950's), David Lo Pan is a character who manages to be incredibly memorable whether he's appearing as a shriveled old man with a shrill voice or in his spirit form as a powerful and noble warrior. Both incarnations of the character would be awesome to own in the ReAction line but Funko went with the spirit (and later flesh) form of Lo Pan for the first series of Big Trouble in Little China figures. I really have a tough time picking a favorite character in this movie: Jack Burton is the obvious choice but Lo Pan is so fun and crazy, too. Of course, everything Egg Shen says is pure gold. Anyways, how about we jump right into this review of Lo Pan. Sound good? Indeed! Articulation: Swivel hips, swivel shoulders, swivel neck. *I've mentioned this in both my reviews for Jack Burton and Gracie Law, but the quality control on the ReAction figures has really improved from just last year. Lo Pan is molded in a very sturdy, hard plastic that takes detail well and makes most of the joints feel very solid (I'll mention the neck in a minute). The "skirt" legs also sit flush together which is a nice improvement over last year's Bride of Frankenstein. *For the most part, I like the sculpt. Well, the body and the hat anyways. With figures like Lo Pan, Funko has really found the perfect combination of vintage styling and modern production methods. Lo Pan looks great and has some great details on his body. I really love the amazing work on the headdress, the ornate pattern on the robe, and the long fingernails on his pinky fingers. This is definitely a cool looking figure that I could see a number of vintage toy fans using to augment their collections (he's work well in Adventures of Indiana Jones or even as a random denizen of Jabba's Palace). * The paint work is really good. It looks neat, clean, and is nice and colorful. It definitely adds a lot to the figure's overall appearance. I love the green trim on the edges of the robe and the painted dragons across the chest. 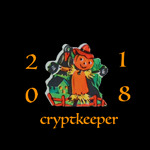 *The Watcher is a cool little accessory. He's tough to display due to his shape but he definitely looks and feels like a vintage little extra piece. The paint is minimal but the sculpt is pretty nice. While I'd love to have a Funko POP Watcher or a Watcher from NECA, I'm pretty thrilled to have this little guy with my Lo Pan. *My biggest negative is with the headsculpt. It looks entirely too calm and normal to be Lo Pan. 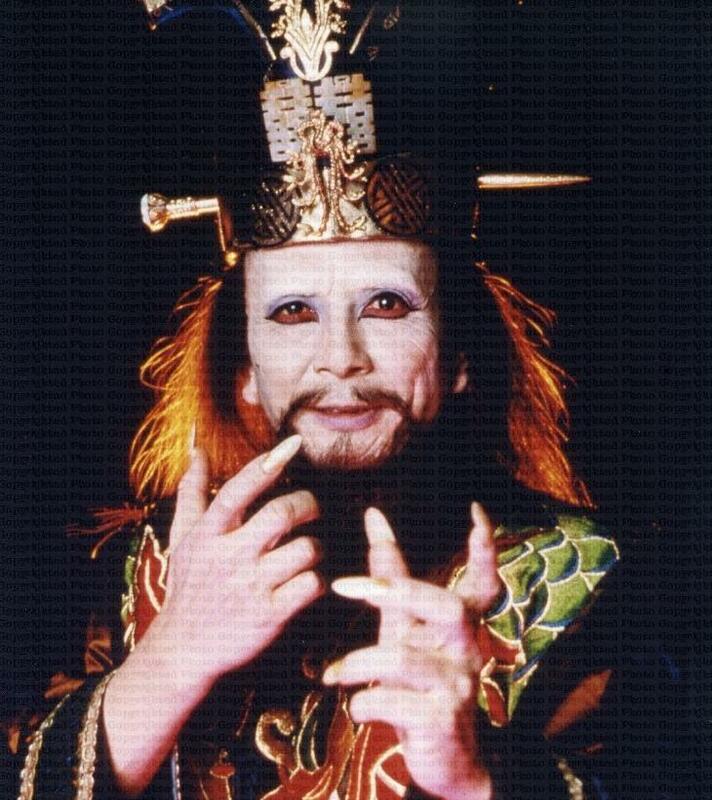 Lo Pan, for most of the film, is insanely creepy with a very unique look that sets him apart. This version of Dave here just doesn't capture that look enough. Maybe if the skin were a bit paler, perhaps? *Lo Pan's head does not want to turn and it's not due to the beard, which sits up higher on the shoulders than it looks. It seems that the neck peg is stuck. Honestly, I'm not that concerned about the head turning so I'm not going to fuss with it, but if yours sticks you'll definitely want to try the ol' freezer trick or using a hairdryer on low to loosen the joint. Lo Pan is a cool figure. He's a cool character and Funko nailed about 75-80% of the look. Unfortunately, the head sculpt is a key aspect of the character. It's not unsightly, but it does feel a bit generic for Lo Pan. Still, there's a lot that I do like here including the detailed sculpting on the costume and the colorful paintwork. The presence of the Watcher is also a plus. Overall, I'm giving Lo Pan a Great. I'd love to see this figure released as a variant with his infamous blue energy eyes and mouth and as the elderly David Lo Pan in his wheelchair. That's the version of Lo Pan I really want, believe it or not. If you enjoy comics, the BTiLC comic series that's been coming out recently is well worth a look as well. I'm going to try an pick these up as they come out in trades, assuming they do. Otherwise, I guess I need to pick up the individual issues, although I just like trades so much better. I'm pumped to check this out, though. It's about time BTiLC got some love. TBH I much prefer trades myself :). It's good to see they can step up the detail when they need to. Out of all the series, this is probably the one I want the most. Funko has really, really upped their game with ReAction over the past year. These guys are really nice, much nicer than most everything from last year. The Universal Monsters and Horror ReAction were quite good, though, and are on the same level of quality. 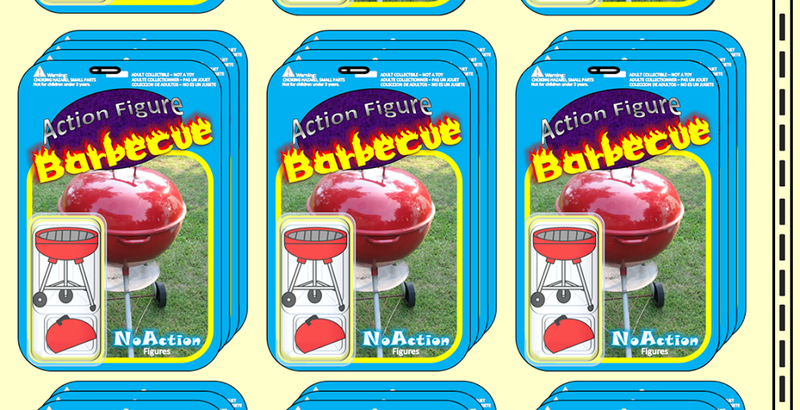 Action Figure Barbecue: I Have a Logo! Work In Progress! I'm Now a .Com!